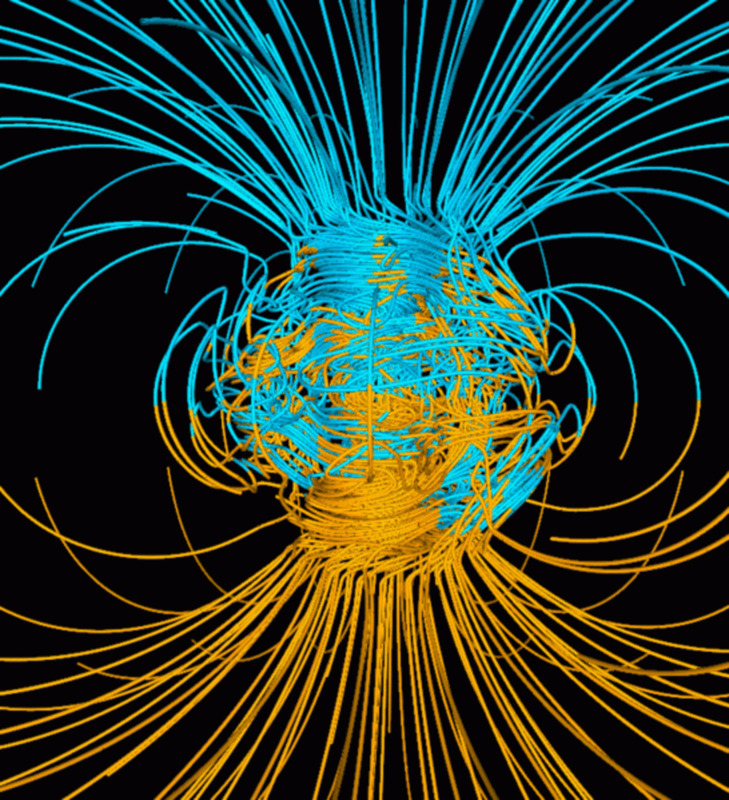 In an attempt to keep my readers informed about the ongoing Polar Shift and the direct affect it is having on our Planet in the form of extreme weather, earthquakes, and other geological events, I have decided to put together a weekly hub article. 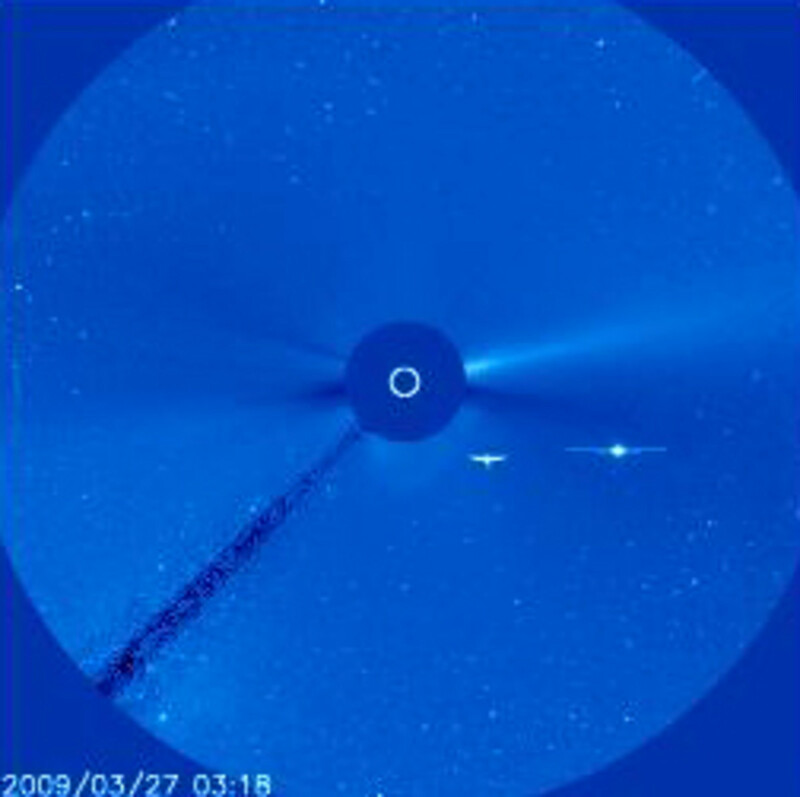 Nibiru Planet X September 9, 2012, will be the first in a series of reports designed to compile all of these events into one condensed article. Trying to keep up with the amount of large scale disasters happening here in the United States and the World has become too time consuming as the events are becoming almost a daily occurrence. However that being said, there are some websites dedicated to helping the world keep abreast of the deteriorating global picture. One of these is the USGS site Latest Earthquakes in the World - Past 7 days, although it warns the reader that This webpage is being phased out and is no longer maintained. Please use the new Real-time Earthquake Map instead and update your bookmark. See Quick Tips & User Guide. 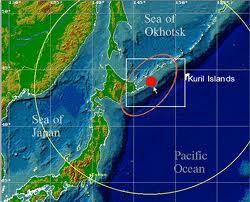 6.0 Kuril Island, Russia 09-09-2012 • Earthquakes in this region north of Japan and east of Siberia have triggered tsunami's in the area and can be considered warning indicators of more significant earthquakes to come. 6.1 Papua, Indonesia 09-08-2012 • Because Indonesia is in the Ring of Fire the country experiences earthquakes often, however this one was significant as it was fairly shallow (9 miles). 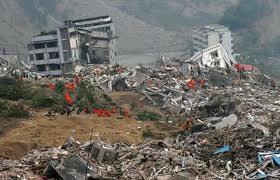 5.6 Sichuan-Yunnan-Guizhou Region, China 09-07-2012 • Two magnitude 5.6 EQ's shook this province in China Friday killing at least 80 and destroying more 6,500 homes. More than 60 aftershocks hit within eight hours afterwards. 5.7 Central East Pacific Rise 09-06-2012 • This rise is a mid-oceanic ridge which is being sub-ducted under the plates to the east of it. 7.6 Costa Rica 09-05-2012 • This large earthquake did very little damage and only resulted in one death, mostly due to updated structural codes and reinforced infrastructure's. 6.0 Santa Cruz Islands 09-05-2012 • This earthquake and the aftershocks to follow has caused the surrounding seas to become agitated preventing the locals from completing their annual Chumash Tomol Crossing. 5.5 Philippine Island Region 09-04-2012 • This region has experienced over 60 significant earthquakes in the last month, including a 7.6 earthquake off the coast of the Philippines last week. 5.6 Mindanao, Philippines 09-03-2012 • The Philippines have experienced over thirty (30) relatively large earthquakes and aftershocks in the last week and over sixty in the last month. 6.4 South of Java, Indonesia 09-03-2012 • Although this earthquake was at a relatively shallow depth, no tsunami warning was issued. 5.8 Moro Gulf, Mindanao, Philippines 09-03-2012 • What many Philippine residents considered an aftershock from the 7.6 earthquake that struck off the eastern coast killing one person sent many residents fleeing back to higher ground. The San Cristobal volcano in Nicaragua erupted Saturday, September 8, 2012, which lead to the evacuation of 3,000 local residents. The locals reported hearing three powerful explosions as the volcano began spewing a large cloud of ash and debris into the atmosphere. This plume or gas cloud now extends almost 3 miles into the atmosphere, is almost thirty miles long. 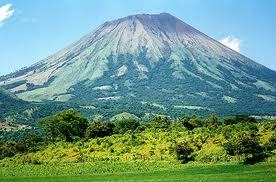 Nicaraguan authorities recommended closing the airspace around the volcano. "Government spokeswoman Rosario Murillo earlier said as many as 20,000 people could ultimately be affected." According to Nicaraguan Institute of Territorial Studies this volcano which is 95 miles north of the capitol city of Managua is 5,740 feet above sea level and authorities have been on alert ever since the recent 7.6 earthquake in neighboring Costa Rica. 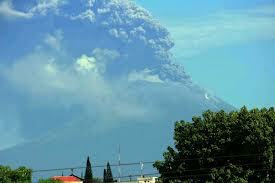 Local authorities claim this volcano has been emitting "abundant gases in a constant manner" since 2008. 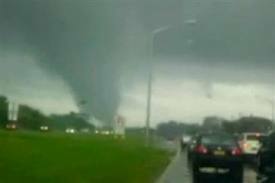 With two tornadoes touching down in New York City on Saturday, September 9, 2012, and severe thunderstorms in the Washington DC area, extreme weather are not limited to the Midwest anymore. One tornado touchdowned off the Southwest coast of Long Island near Breezy Point and another damaged homes in the Canarsie neighborhood of Brooklyn. Later in the day thunderstorms ripped through the Washington DC area leaving at least 175,000 without power. This extreme thunderstorm moved through sections of Vermont, Massachusetts, Connecticut and Pennsylvania. Are the increase in earthquakes, volcanic activity and extreme weather signs of the coming Apocalypse and Polar Shift or just coincidence and 'Climate Change'? Yes, it is obvious that the term 'climate change' is just more disinformation. Still waiting for the Discovery Channel episode to tell me what to think. A stretch of the Yangtze River in China near Chongqing has turned the color of blood red on September 6, 2012. Investigators have not determined the cause, although they have ruled out micro-organisms (red-tide) as that is a salt water phenomenon. Many so-called experts have chimed in on their best guess to what is causing this phenomenon from man-made dyes to color changing bacteria that form due to a lack of oxygen, although in rivers of Yangtze's size that is rarely the case. Most experts are looking for a natural cause from red clay eroding into the river from recent storms and earthquakes or some sort of man-made pollutant. Of course the most obvious conclusion that many choose to ignore, laugh at and ridicule is that it is a sign of the End of Times as predicted in the Book of Revelations. However one other possibility that hasn't been explored is that it could be from the large amount of red dust that follows Nibiru as it moves through space. Described by Velikovsky, who documented many legends. One of the first visible signs of this encounter was the reddening of the earth's surface by a fine dust of rusty pigment. 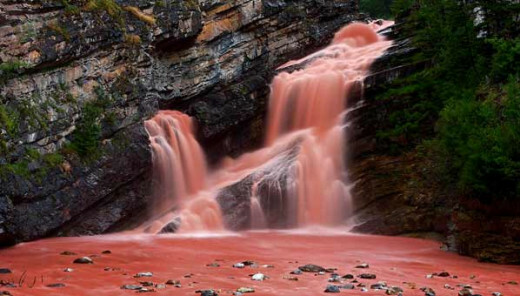 In sea, lake, and river this pigment gave a bloody coloring to the water. Because of these particles of ferruginous or other soluble pigment, the world turned red. 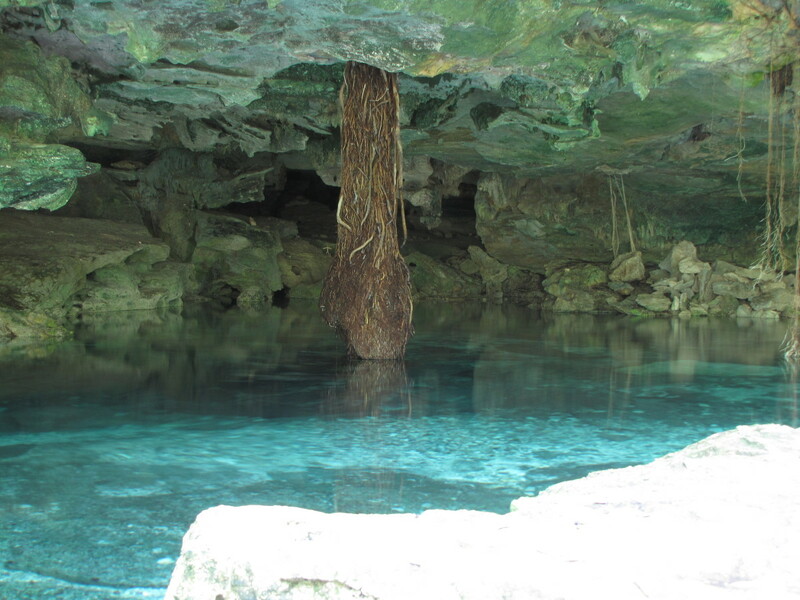 The Manuscript Quiche of the Mayas tells that in the Western Hemisphere, in the days of a great cataclysm, when the earth quaked and the sun's motion was interrupted, the water in the rivers turned to blood. Ipuwer, the Egyptian eyewitness to the catastrophe, wrote his lament on papyrus, "The river is blood", and this corresponds with the Book of Exodus 7:20: "All the waters that were in the river were turned to blood". Sure it easy to dismiss legend and myth as the frightened ramblings of a superstitious and ignorant people but as more and more of the ancient prophecies come true would it not be wise to at least consider these myths and legends and prepare for them in what limited way we all can? I do not write these articles to frighten my readers but allow them to ponder the information and to gather the wide variety of events together in one article. I suspect that this Polar Shift we are all experiencing will take place over many months and perhaps years and is not one single event like the Super Bowl or Fourth of July. 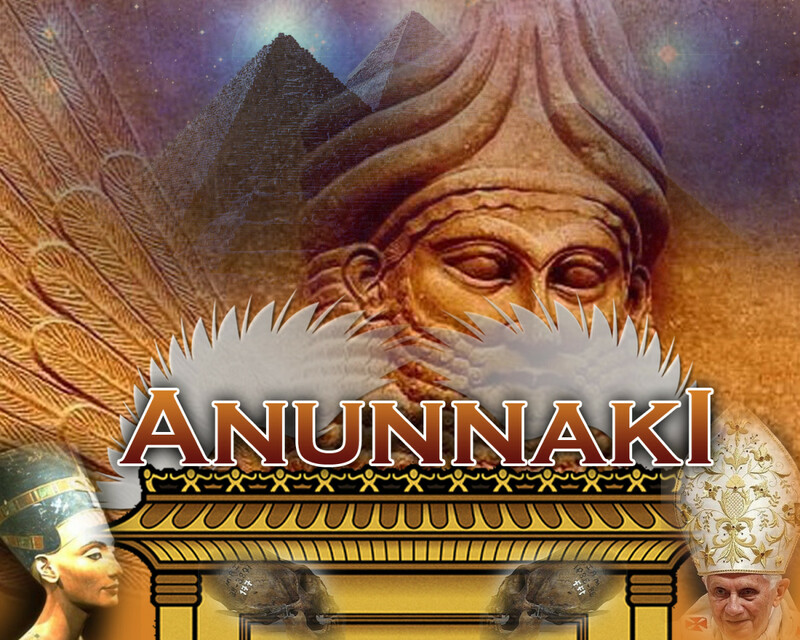 Many ancient cultures from the Mayans and Hopi in the America's to the Egyptians and Sumerians in the Middle East to the Chinese and Hindu of India in the Far East all have similar stories, myths and legends and we would do well to remember them and ponder the warnings they give us. 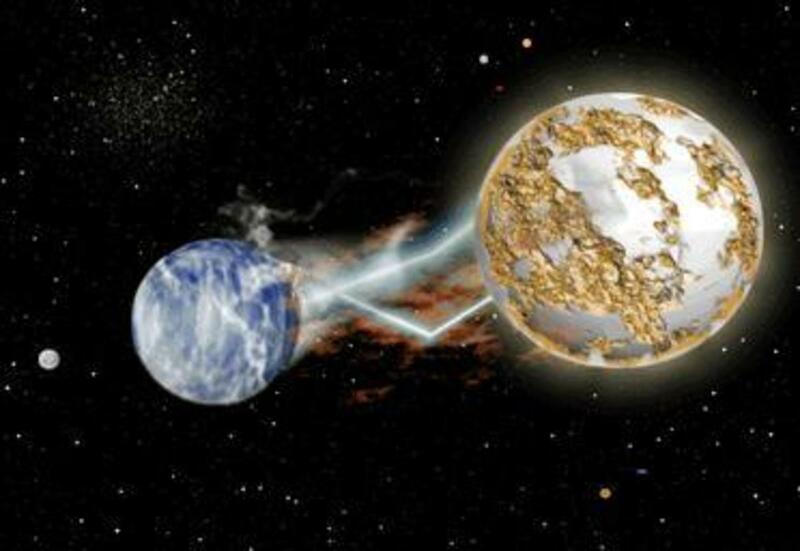 This article Nibiru Planet X September 9, 2012, Signs of the Apocalypse is only the first of a series I intend to do to keep my readers abreast of the wide variety of geological events and extreme weather taking place world wide. That sounds like a lot of fun, the Onion is a hilarious take on world news. Putting a positive spin on bad news would be a lot of fun and as long as bad things are happening to other people I'm all for laughing about it and ridiculing it. Several years ago there was this crazy idea that developed for a televised broadcast. It was an "All Good News" show. Needless to say, the ratings were so poor, they got took off the air. It's a sad fact, that most people are either more entertained by or would rather hear...Bad News! Yeah, I got some recommendations, it is called sarcasm! Now that's what I call news... Ha! I'm going to do it the Sunshine and Rainbows Report however most folks like dirty laundry, so it maybe tough to find good things happening in this world any suggestions? Oh, man, I can see it now: Somethgblue's "Sunshine & Rainbows Report." 2 hours later, he gets an e-mail saying that his Hub has been removed due to the fact that it was less than 250 words; ha! Yeah that is a good idea the Sunshine and Rainbow Update article, I could write a point, counter point article that details all the good stuff that has happened during the week. It might be kind of short but you never know, would people dying that I don't like be a good thing? That Yangtze River (Yellow River) turning red is rather interesting, as most of the reasons for such things wouldn't occur as easily in a river, but more so in still water, ponds, etc. That red clay stuff can happen, but we are not talking about a small creek here! I dug up some old info the other day about this subject, and found that in 2006, a half-mile section of China's Yellow River turned "red and smelly" after an unknown discharge was poured into it from a sewage pipe. China is well-known for their pollution, so my best guess would be something similar, although this doesn't disrupt any ancient myths & legends that may be out there - with or without the apocalypse theories. Hey, that's a good idea you came up with, providing Hub updates about global destruction and whatnot. So much for the sunshine & rainbows, eh? LOL!